Livestock supplements to help balance distillers grains. Kay Dee understands the needs producers have when it comes to available resources. Because distiller’s grains have become such a popular source for feed, we have two products to help balance those rations. 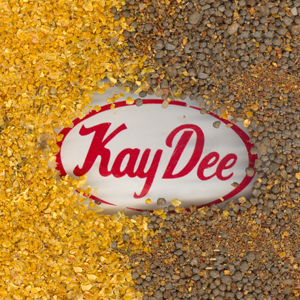 Kay Dee’s DCS mineral is specifically formulated for wet or dried distiller’s grains fed to livestock. This mineral is made to complement the imbalance of phosphorus and sulfur inherent in distiller’s co-products. The DCS Mineral Block should be fed free-choice. Our Distiller’s Co-Product Kaydets also balance rations from distiller’s co-products. This granular mineral can be fed as a top dress, fed free choice, or can be mixed in with the ration.